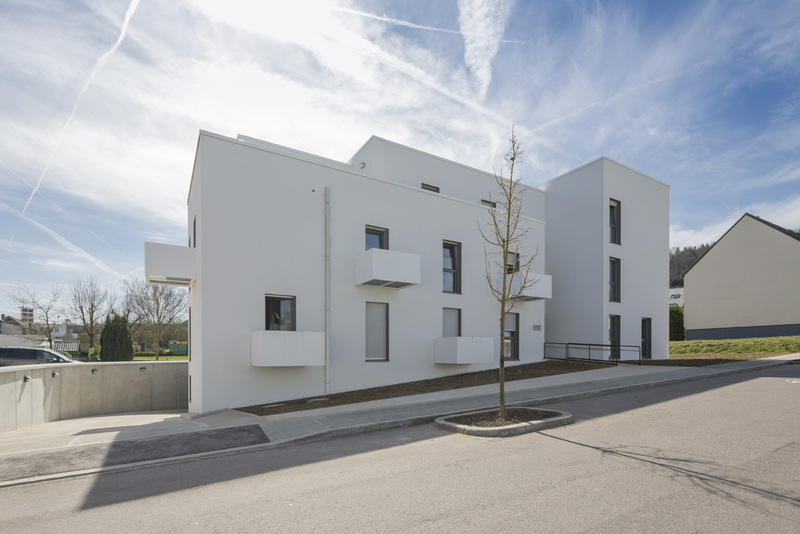 Total building costs Euros: Approximately 3.5 million euros at a reduced tax rate of 3% VAT for the construction of the building only, not including the cost of the land. 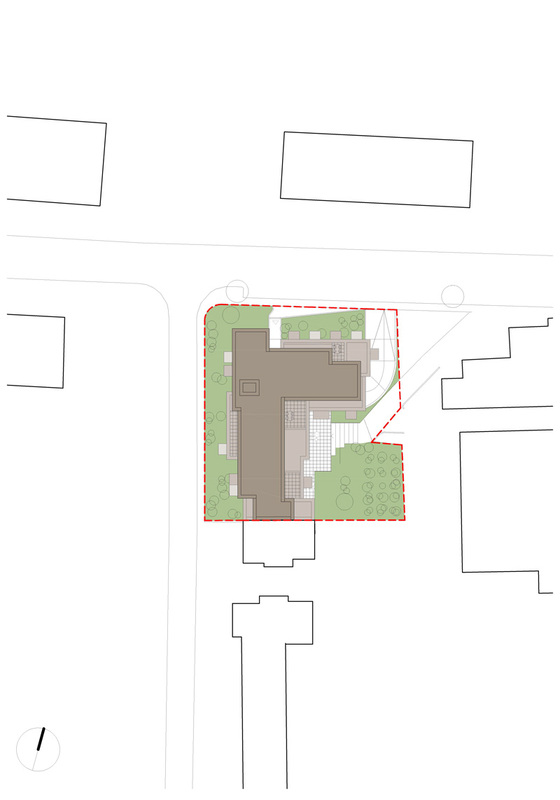 Allotment rule: The concept of the residence is proposed to the vulnerable clients of the three social services involved in the project. 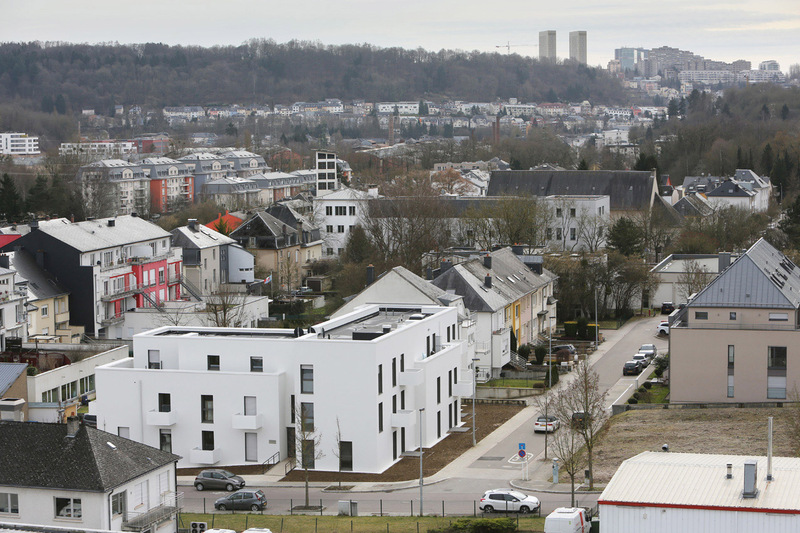 Cost of construction max: Approximately 3.5 million euros at a reduced tax rate of 3% VAT for the construction of the building only, not including the cost of the land. The project cost is slightly below the average values of the country. Rental/sale cost compared to market price: Rental cost is very low, 3-4 times below the average market price. 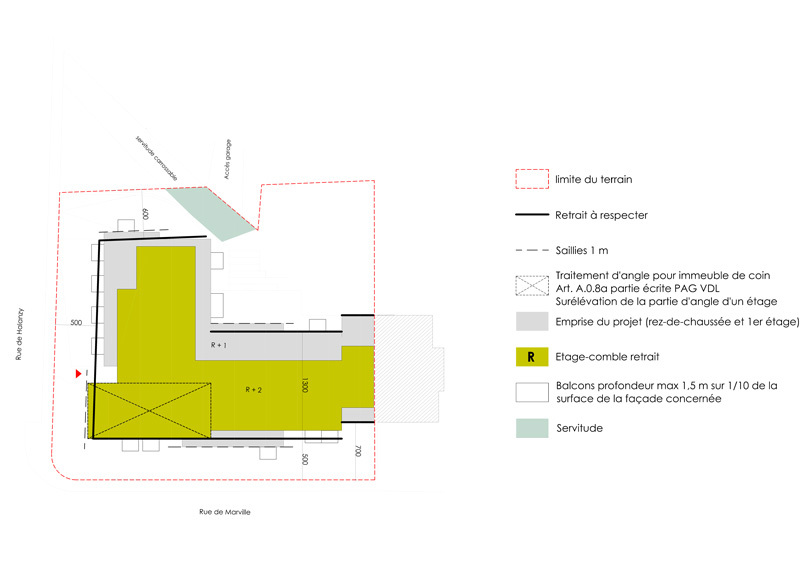 Rules of allocation: The concept of the residence is proposed to the vulnerable clients of the three social services involved in the project: “Caritas Accueil et Solidarité” (CAS), Caritas Solidarité et Intégration (CSI) and “Lieu d’Initiatives et de services des étudiants au Luxembourg” (LISEL). Protection of fragile categories: CAS is working in field of homelessness with different services, CSI offers services to refugees and migrants and LISEL is a student service, where the needs and competences of students supported by a professional team, EVS and other volunteers are matched. Involvement of inhabitants in the building process: There was no involvement of the inhabitants in the construction process. Community accompaniment in the life of the building: CAS and LISEL are supporting the older residents and the students, and are helping to organise different activities to promote social interaction. In case of need, conflicts and individual problems are addressed by professionals of these organisations. 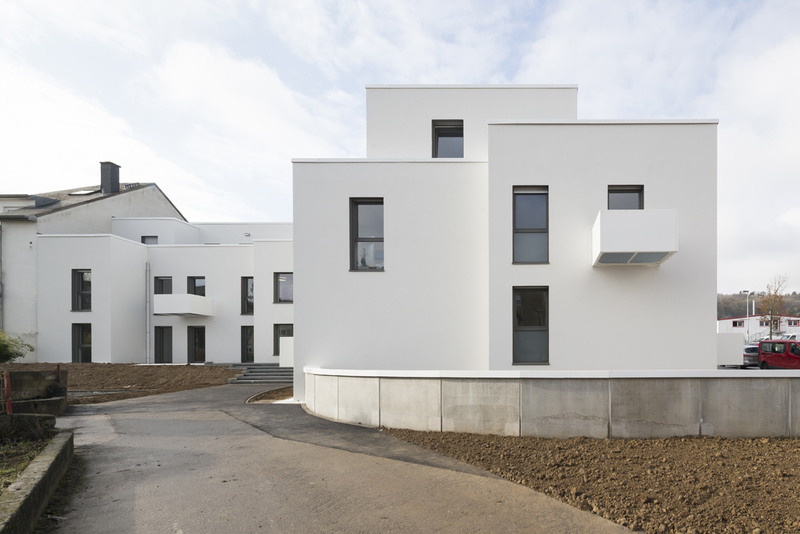 Functional mixitè: The residence offers a physiotherapist room where people can get care. 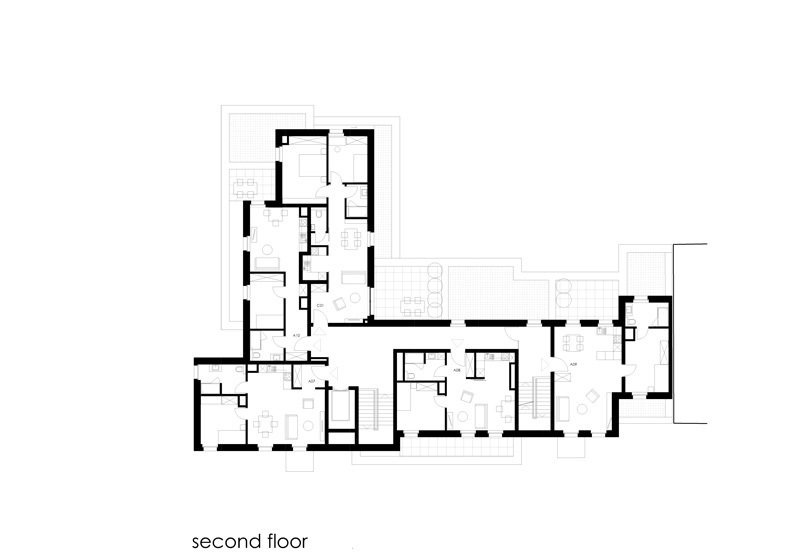 Common spaces and shared living: The hallways converge towards the center of the building near the exit. Residents will therefore meet in the course of their everyday lives. 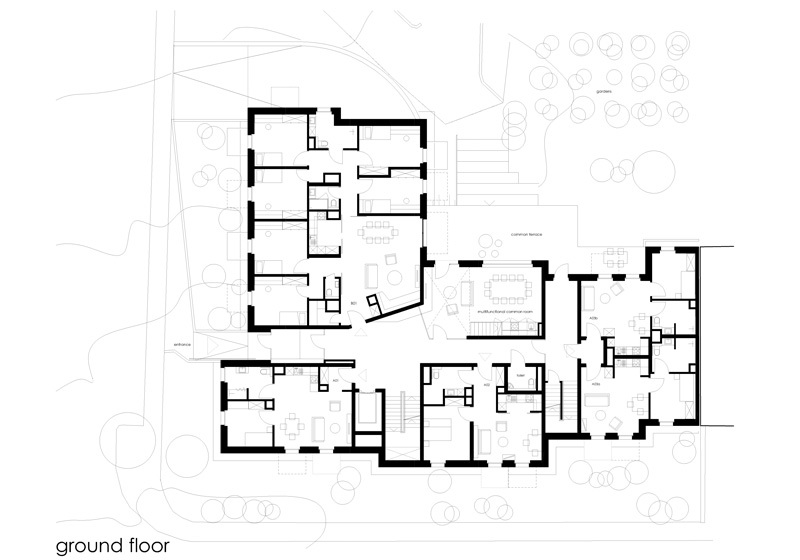 There is also a multifunctional common room in the center of the building with a terrace leading to the garden. The older residents and the students are working together in the garden. 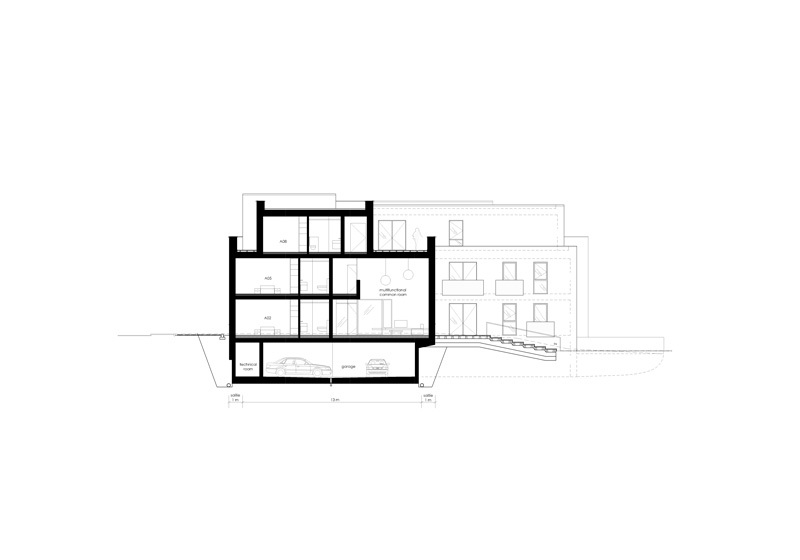 Techniques and strategies for environmental saving: The project is a low-energy building. 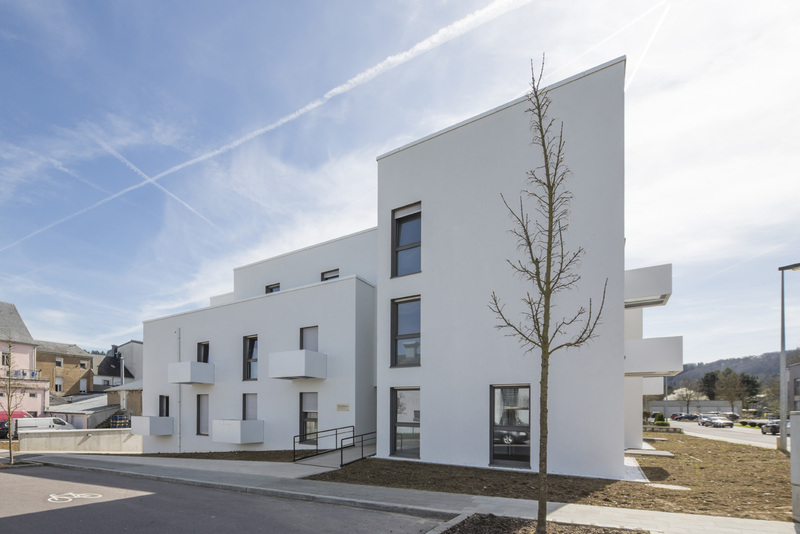 The project provides high levels of thermal insulation based on mineral fibres, controlled mechanical ventilation, airtightness and triple and double glazing according to the orientation of the building. 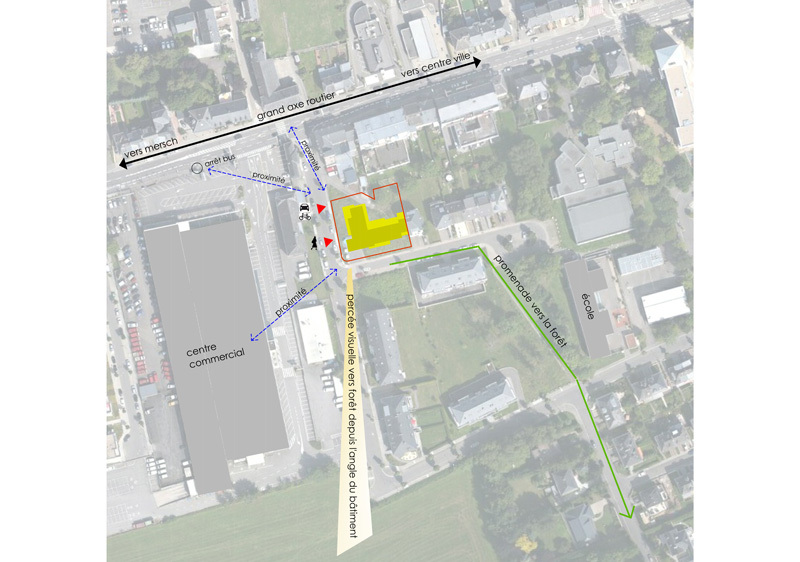 The corner plot, provided by the City of Luxembourg to the Fondation Caritas, is located in a residential area of the Luxembourg City. Housing styles in the neighbourhood are varied and the urban development of the area since the 1970s has been linear without an overall reflection of the area as a whole. 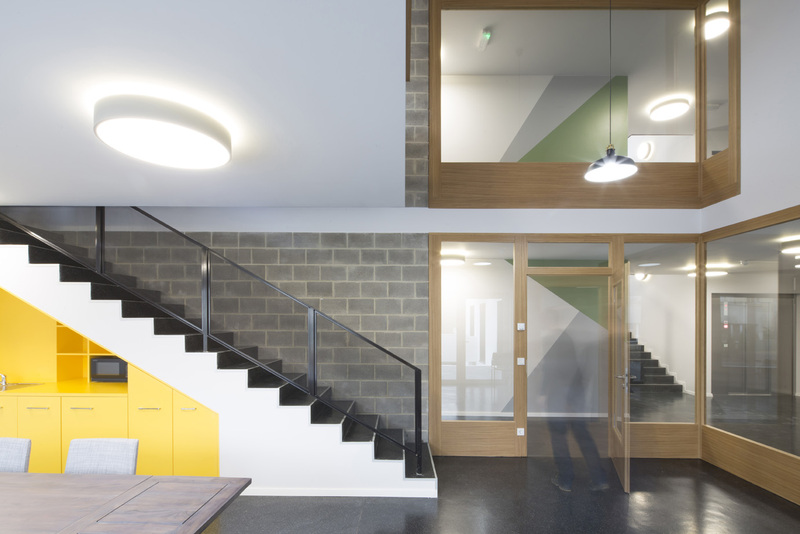 The project conforms to the type of corner building found here with a sober, slightly introverted architecture, revealing an interior in which an innovative programme offers new forms of community living for people of low-income. 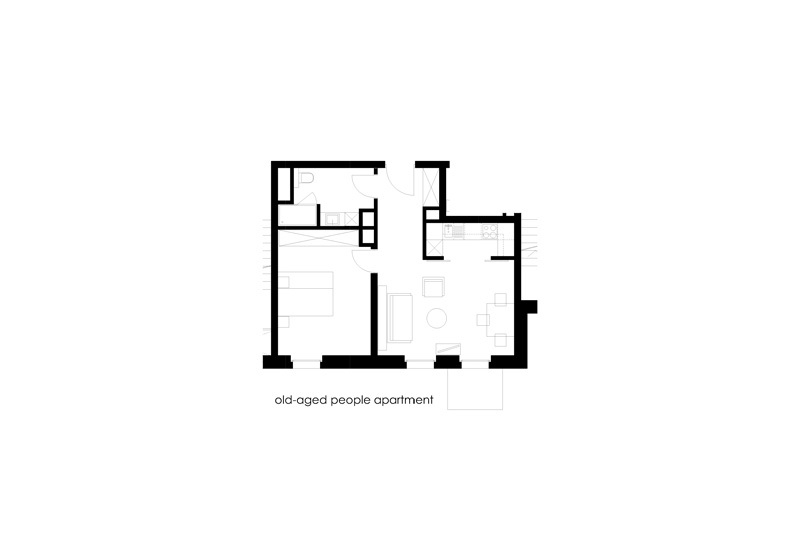 The project specifications stipulated collective dwellings leading to intergenerational cohabitation between people from very different backgrounds. 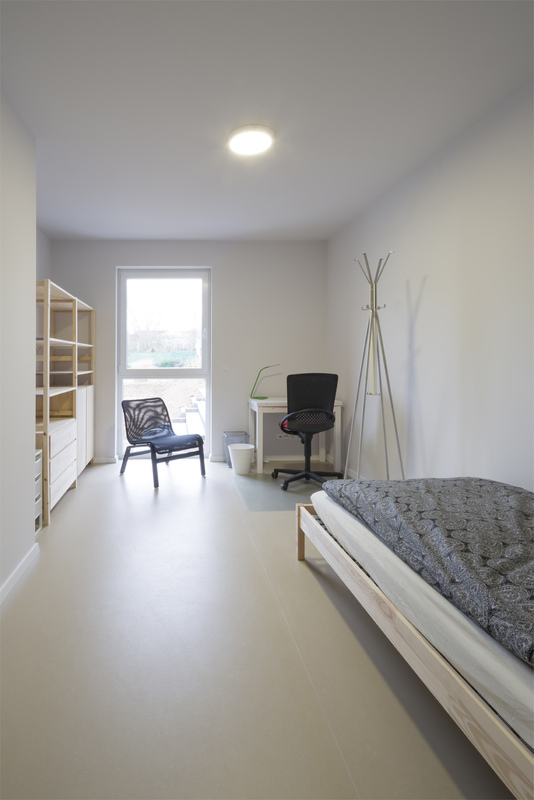 An area for 10 supervised homes for people who are in the process of being reintegrated in society, a zone with 2 student residences, and a central common room area in the middle. 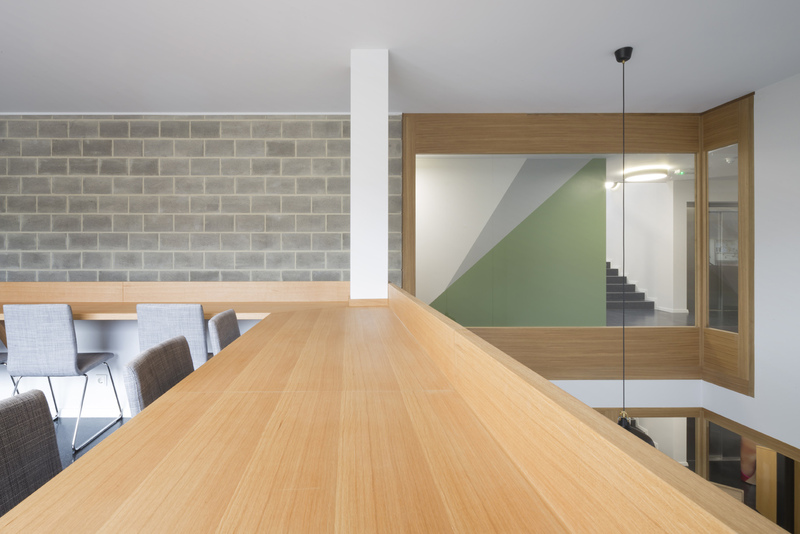 This common room is at the heart of the project and is designed to facilitate meetings between the inhabitants and thus promote a communal way of life. 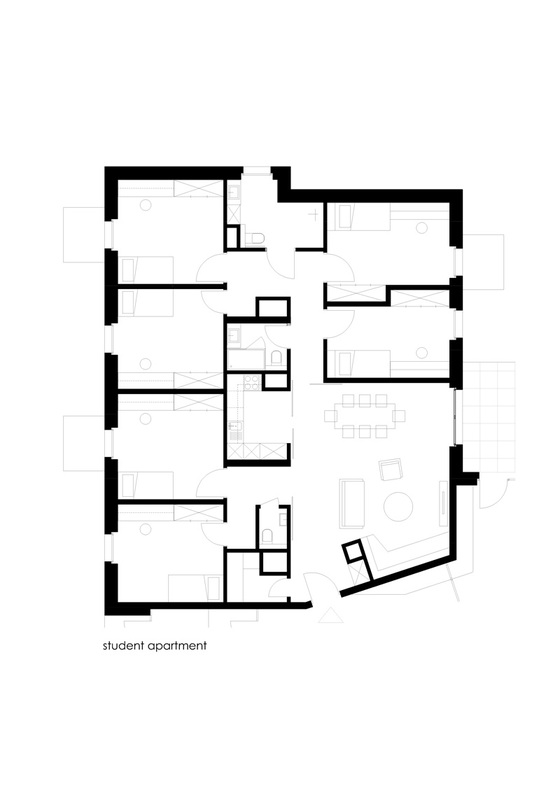 The two student residences each have six student rooms. 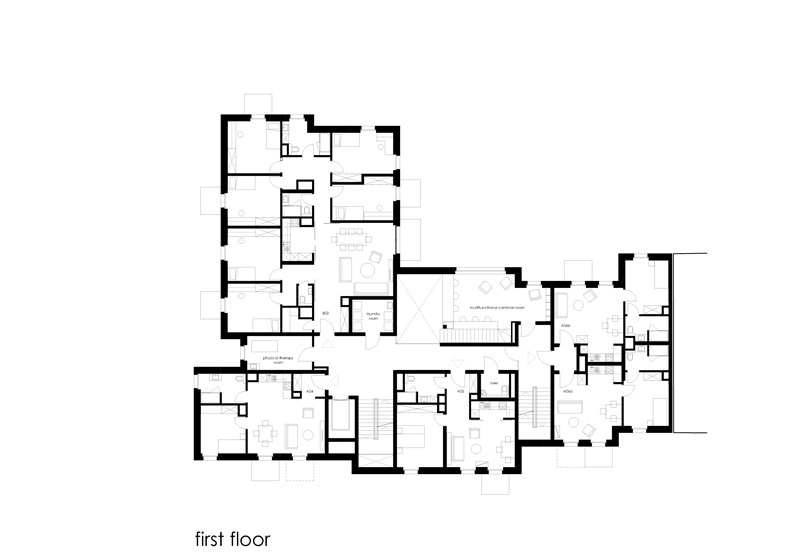 These lodgings all work on the same principle, combining the private areas of the 15 m2 rooms and balconies with the common, shared areas. 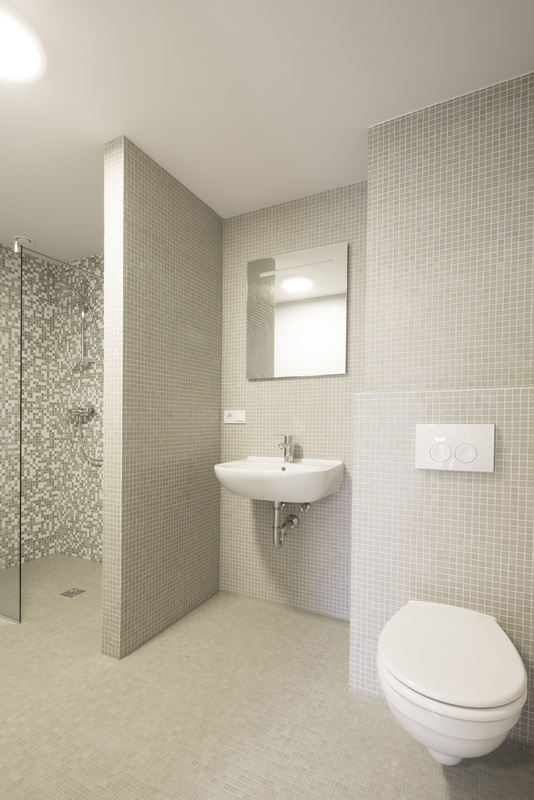 The “wet rooms” are the buffers between the rooms and shared spaces. They serve also as acoustic buffers and make access to the rooms more private. 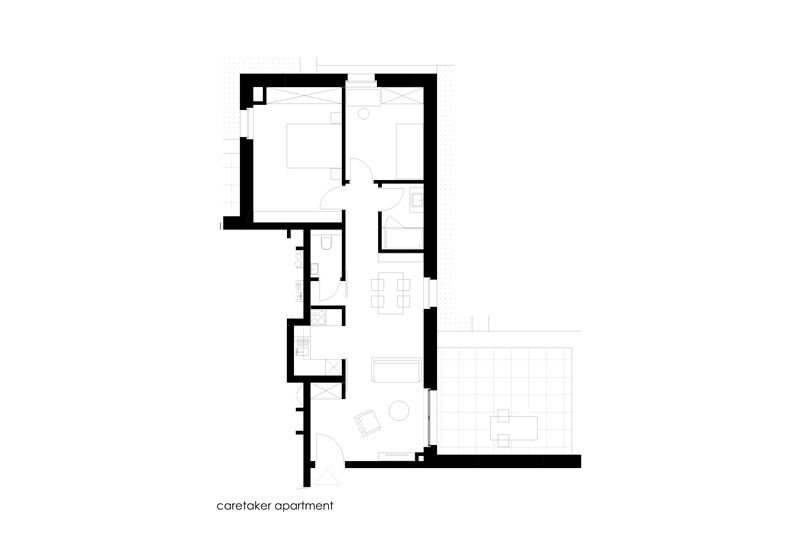 The central common room is organized on two floors. 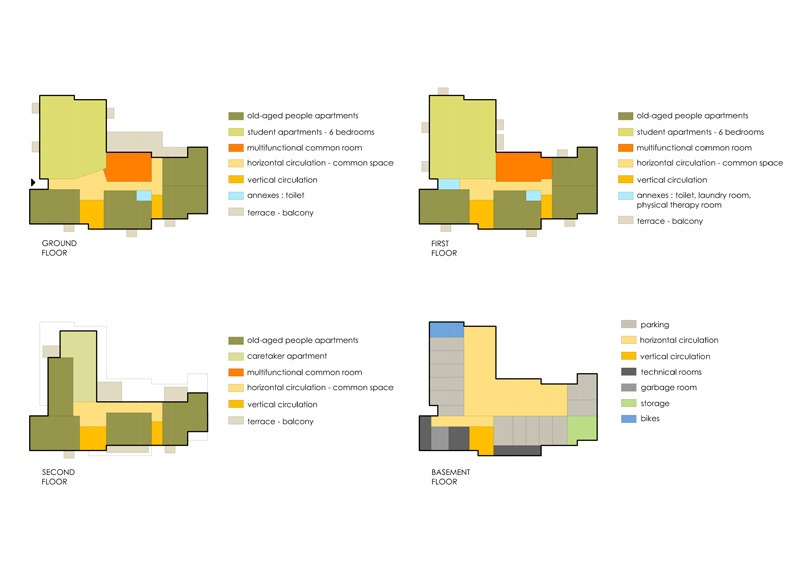 The shared lounge is on the ground floor and is equipped with sofas, a large activity table and an integrated kitchenette. 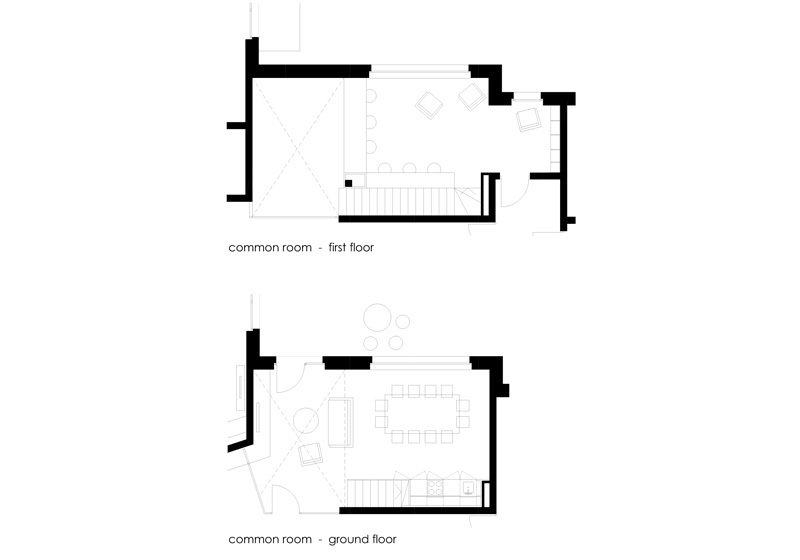 The terrace extends the space of the common living room towards a shared outdoor space. At the end of the terrace, small gardens enable to cultivation vegetables and encourage the dynamics of mutual collaboration. 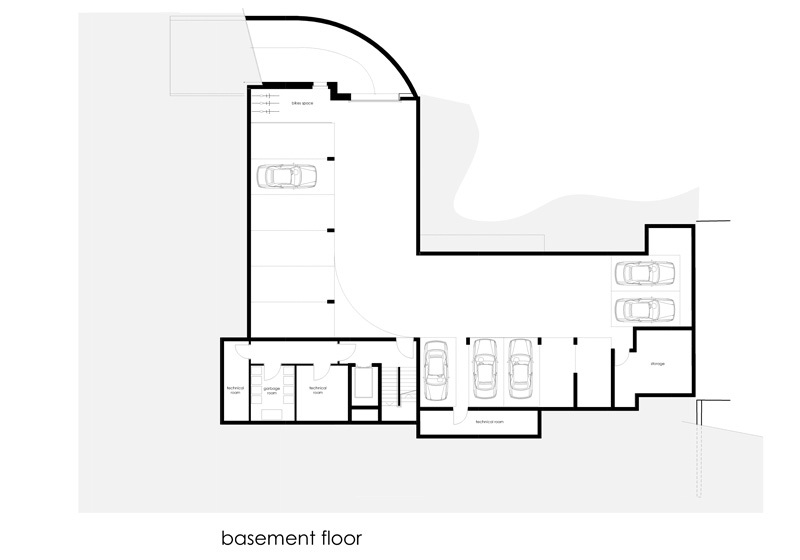 The upper floor of the common room is organised as and office and computer area. The project advocates mutual assistance between both populations and this space encourages the support by the student of people unfamiliar with the world of computers. 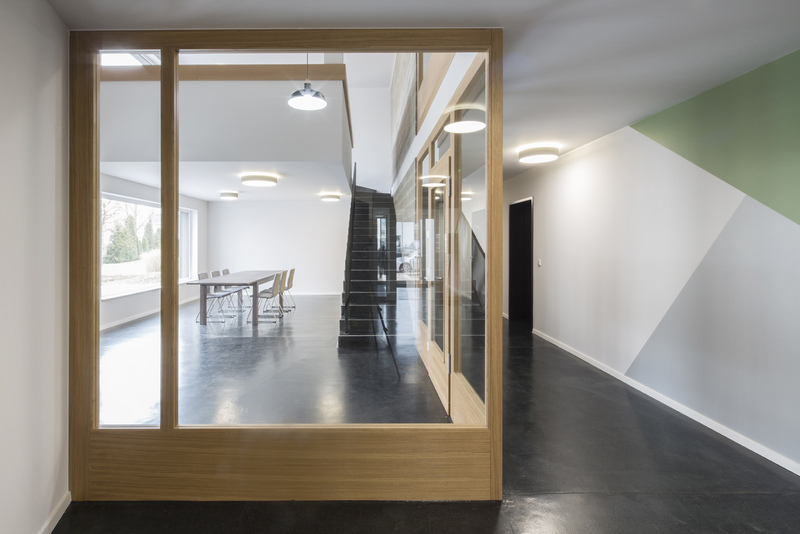 The project is a low-energy building with high quality thermal insulation, controlled mechanical ventilation, airtightness and triple and double glazing according to the building’s orientation. 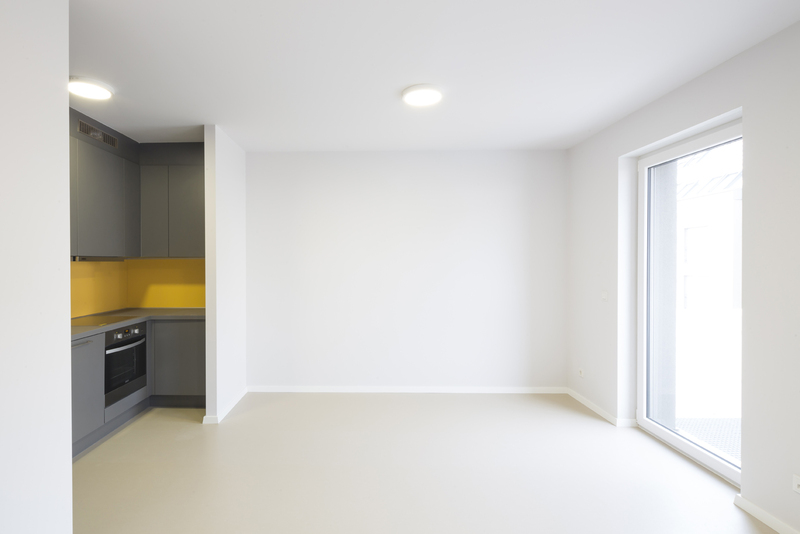 Due to the compactness of the building and the functional organisation, the maintenance costs for the building are reduced and will have little impact on the residents’ rent.